In a perspective published in the New England Journal of Medicine, UNC Lineberger member Ethan Basch, MD, MSc, addressed the need for – and the barriers preventing – electronic reporting of patients’ symptoms between visits. 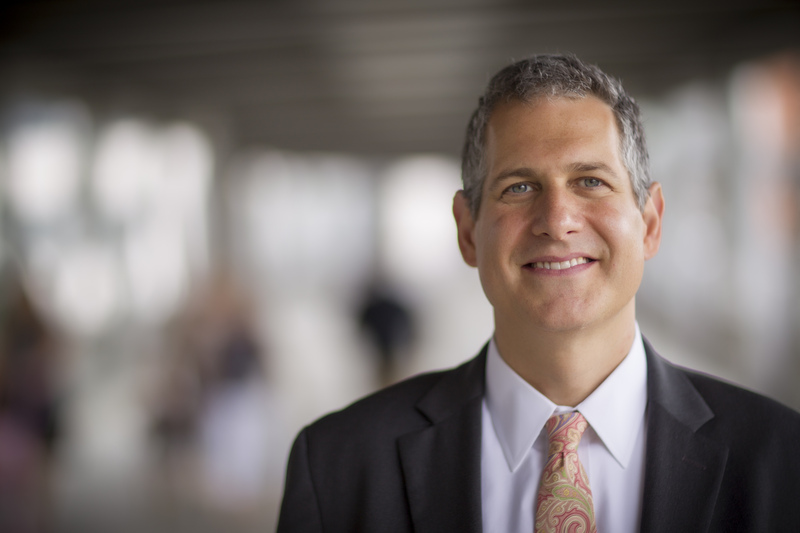 Ethan Basch, MD, MSc, is the director of the UNC Lineberger Cancer Outcomes Research Program and a professor in the UNC School of Medicine Division of Hematology/Oncology. Capturing real-time reports of cancer patients’ symptoms between doctor’s visits has proven health benefits, but technology and cost barriers are getting in the way of widespread adoption of the practice, reports a University of North Carolina Lineberger Comprehensive Cancer Center researcher. In a perspective published in the New England Journal of Medicine, Ethan Basch, MD, MSc, addressed the need for – and the barriers preventing – electronic reporting of patients’ symptoms between visits. Basch and his collaborators found in previous research that the systematic collection of patients’ symptoms using computer surveys was linked to less frequent emergency room admissions, longer average chemotherapy adherence, greater quality of life improvements and improved survival. Despite these demonstrated benefits, collection of patient-reported symptoms is not standard practice in health care. Basch argues that health care providers could be integrating patient-reported information using questionnaires that patients complete at or between visits using the internet or “smart” devices, and transmitting that data into the electronic health record. Clinicians would receive automated notifications about concerning symptoms or issues. Why isn’t it happening? Basch said there are several major obstacles. First, major providers of electronic health records software have only a “rudimentary” ability to collect patient data, he reported, and software applications they have to collect data from patients just simply aren’t used by patients. There is also a lack of strong financial incentives for medical providers to implement systems for patient-reported outcomes. The Centers for Medicare & Medicaid Services pay a per-member, per-month amount for remote monitoring of chronic conditions, but Basch notes the incentive is modest. Finally, Basch said there are concerns with implementation. Medical providers need to find ways to efficiently incorporate monitoring of patient-reported symptoms into their work flow, and there needs to be standardization of the reporting questionnaires that are used.